Wouldn't an uncensored premium channel be a better fit for televising Howard Stern's radio show now that E! wussed out and dropped it? Is there anyone who doesn't want Paris and the rest of her pseudo-hoity Hiltons to just go away? Can anybody really handle watching David Spade for 4 or 5 nights a week? Even on Comedy Central? 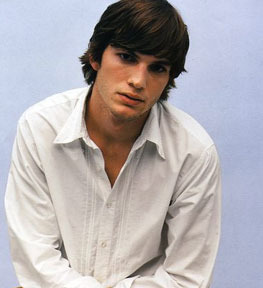 Does mentioning Ashton Kutcher in every Beauty and the Geek promo really help the show's ratings? Especially considering barely anybody watches That 70's Show- you know, a program he actually appears on? Why would the creative team behind 24 divert their attention from the TV version to bing the show to the big screen? Instead of firing the losers on Martha Stewart's The Apprentice, is it true she'll simply fit them with an ankle transmitter and put them under house arrest? With all this nashing of teeth about the government cutting funding for PBS "being bad for kids," do you mean to tell me no other network would buy the rights to Sesame Street? And does PBS really think hiring an ombusman will be enough to hide the fact that the network's bias is ridiculously liberal? Doesn't the huge audience for Dancing with The Stars prove that 16 million people can be wrong? Will I ever be able to get through another episode of Six Feet Under without wishing a violent, horrific death on each and every whiny member of the Fisher clan? Is there a piece of information I need less than knowing Entourage star Jeremy Piven pops Viagra? Will NBC hire a comedian for its football coverage a la Dennis Miller? If so, please don't make it Carrot Top. Why can't Lifetime make an intelligent drama for women, instead of rehashing the same old cliched rubbish? And why does every one of their original movies have to contain a colon and a subtitle? Why did it take me so long to realize that Rachael Ray is kind of annoying? How will NBC make up the $1 billion they lost in this year's upfront? Not to mention all the money they blew on Father oif the Pride? Speaking of NBC and the upfront, is it any big surprise advertisers were turned off by Inconceivable, a show set in a fertility clinic? And is it any wonder CBS' Les Moonves is gloating over the fall of the Peacock? Is it possible to enjoy The Comeback if you don't work in television? Because it's hard enough to watch it even if you do. Stern Heading To Spike TV? 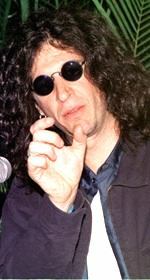 After taping more than 2,000 episodes of his daily radio broadcast for E nationally syndicated shock jock Howard Stern is looking for a new television home. Spike TV has been looking for a late night franchise since its inception. Sources indicate Spike TV has been negotiating to carry the televised version of the show when it moves to Sirius satellite radio next year. No word yet on how uncensored the new show will be. Indecency concerns were reportedly part of the reason E! dropped the show. Producers wrapped up shooting the Martha Stewart edition of The Apprentice last week. It debuts this fall on NBC. The reality show clone, featuring a stable of Martha wannabes, will use a similar (but not the same) formula as the Donald Trump version of the show. Details are under wraps, but apparently Martha won't be "firing" anyone- at least, on camera. MTV is negotiating to broadcast the upcoming "Live 8" concert. The concert, up until now, was only going to be available over the Internet. If the deal is completed, the July 2 mega-concert will air on both MTV and VH1. Madonna, Paul McCartney, U2, Coldplay and a reunited Pink Floyd are among those scheduled to perform in London; Bon Jovi, Dave Matthews Band, Destiny's Child, and Stevie Wonder in the U.S.
Paris Hilton's chihuahia bit a Today show producer's hand yesterday morning. Kathy Hilton had brought the dog with her to the appearance to promote her new show. The producer said the bite hurt, but not nearly as much as watching I Want to Be a Hilton. In a push to win union wages and benefits from producers, Hollywood's Writer's Guild is demanding that companies that produce reality shows provide union wages and benefits to producers who craft story lines from hours of screened footage. Maybe all these reality participants who blame the editing for making them look like asswipes have a point. But probably not.